This lovely back garden in Caterham, Surrey had some fantastic planting and good structure. 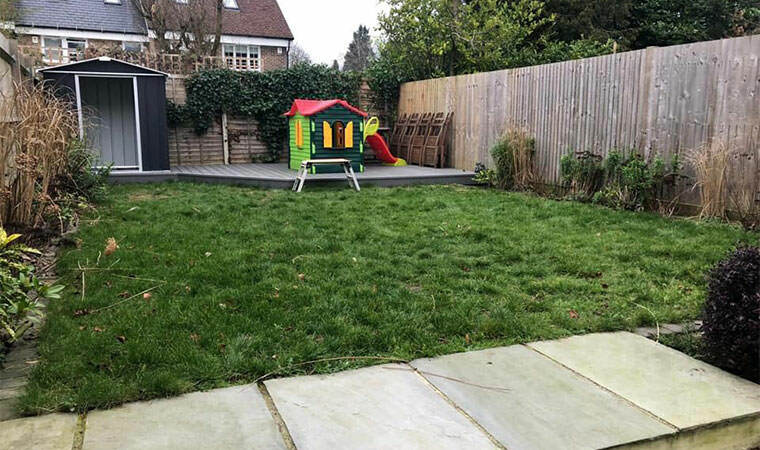 It was however thoroughly let down by the shabby lawn. 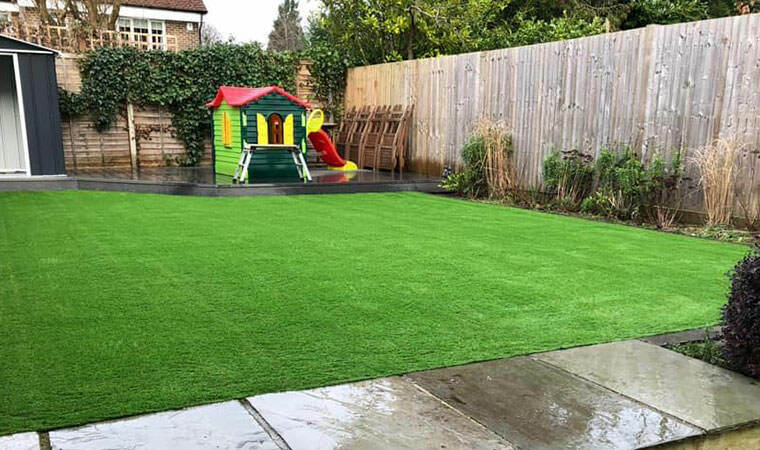 This is a common problem that we come across time and time again and artificial grass is a great solution. 6 tonnes of aggregates and our usual high spec groundworks later and the problem was solved. The grass chosen by this customer was the Rectory.